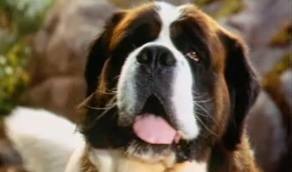 Does anyone remember this scene from the movie Beethoven, back in 1992? Alice: "Just change your pants, George." George: "I'm gonna change my pants, Alice. But if I change my pants, I gotta change my jacket! If I change my jacket, I gotta change my shirt! If I change my shirt, I gotta change my tie! I hafta change my belt! I gotta change my shoes! I gotta change my socks!" "Oh, no. That doesn't work at all." Thinking I meant his simplest accessory, he went back into his closet, took off his tie, and grabbed another one. Still a no go from me. One more time in for a different tie, and after he tied it and pulled on the jacket again, I told him the bottom line. "It's not the tie. It's the shirt." Of course, this was not really what he wanted to hear because it was more of an overhaul if he had to start back at the shirt part of the process. I couldn't blame him- I'd hate to have to start over again too when I'm ready to walk out the door. In that moment I thought about it and realized how often in my daily life I am just switching ties when the real problem is my shirt. I invest in and trade a lot of surface stuff, hoping for a match, instead of getting to the main issue and fixing that. Why? Because it's messier and dirtier and more time-consuming (and heart revealing) to deal with what really matters and needs to be changed. It's easier to keep switching around the small-ticket items hoping to bandaid the problem long enough to get me through another day. Usually somewhere between tie #54 and #55, God looks me in the eye and says, "Stop switching accessories. You need to deal with the heart of this. Now. Sit down and let's get this straightened out." And what I'm about to do takes time, revelation, some unveiling and occasionally (ok, usually) confession and repentance. But the heart transformation that takes place when God is done with me and my issue is worth every minute. He knows what tie goes with what shirt that looks great with the jacket. And when he coordinates my heart and lines it up according to His plan, I've got a match.